Global markets traded higher on Thursday as investors cheered a rebound on Wall Street and supportive comments from central bankers. China's benchmark Shanghai Composite closed with a 5.3% gain, while the smaller Shenzhen Composite added 3.3%, ending a five-day losing streak. In Japan, the Nikkei jumped 1.1%. Markets in Hong Kong, Australia, and Korea also posted gains. Major European markets marched higher, gaining more than 3% by the close. The strong performance comes after a series of wild trading sessions. 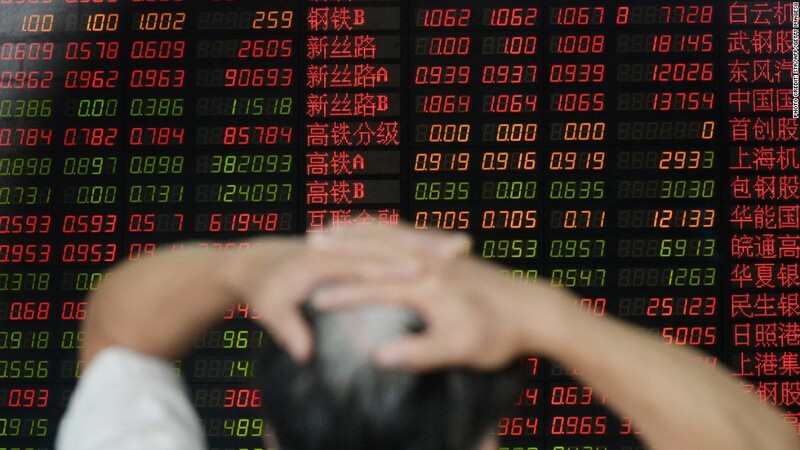 Before rebounding on Thursday, Shanghai had crashed more than 20% in five days. In the U.S., the Dow was up about 2% shortly before the close after posting its most emphatic point gain since the 2008 financial crisis on Wednesday. 1. Analysts were concerned that China's economy was slowing faster than anticipated. The People's Bank of China helped alleviate fears with stimulus actions, including an interest rate cut. 2. There were worries over a possible interest rate hike by the U.S. Federal Reserve, possibly as soon as September. On Wednesday, New York Fed President William Dudley said a rate hike now appears "less compelling." The European Central Bank also said it could expand its stimulus program if needed to counteract the fallout of a slowdown in China. 3. Oil prices had fallen to their lowest level in more than six years. Crude rebounded on Thursday, however, jumping by more than 8% to climb back above $41 a barrel.